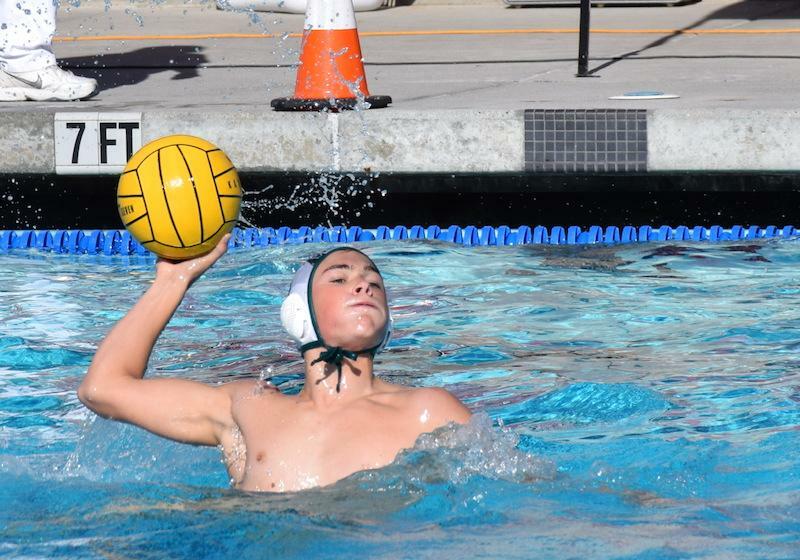 Graduated Paly senior field player Eric Maser scores on a volley from the left side of the pool in the 3rd quarter to tie the game against the Titans last season at Gunn. Despite a hard fought effort, the Vikings fell against Gunn, bringing the Vikings to .500 on the season. Photo: Ethan Kao. One of the most critical characteristics of success in sports is confidence, something the Palo Alto High School boys’ water polo team does not lack. Senior left-handed driver Bryan Look shares a similar projection for the season. Coming off a successful 2016 season (16-11, 12-2) that ended in a second place finish in the Santa Clara Valley Athletic League and a quarterfinal defeat in the Central Coast Section tournament, the boys now look ahead to the upcoming season. Palo Alto’s primary competition in league play is the Gunn Titans (18-7, 11-0). Both of the Vikings’ losses in league last year came at the hand of the Titans, who also defeated the Vikings in the championship game of the SCVAL tournament. With the Viking Class of 2017 gone, the boys must replace five of seven players from its 2016 starting lineup. According to Look, last year’s bench players (non-starters) will need to step up into the starting lineup and perform at a high level throughout the season in order for the team to have a strong year. This season, the Vikings will start three seniors, three juniors, and one sophomore. Senior Jack Andersen and junior goalie Ben Rapperport are the only returning starters from the previous year and will provide veteran leadership for the team in the pool. The boys open their season at 4 p.m. at Junipero Serra High School on Aug. 30.